Different people hold different attitudes toward God. Those who truly believe in God can come before God, they fear God and shun evil, never pass judgment on Him but seek His will; On the contrary, those who don’t sincerely believe in God have no place for Him in their hearts, and they don’t fear Him. No matter what they say and do, they act in a willful manner. They even deny the existence of God. No matter how people behave toward Him, God will always be God. He will not change His essence according to man’s attitude. Share: “He is the One who has never been beheld by man, the One whom mankind has never known, in whose existence mankind has never believed, yet He is the One who breathed the breath into mankind’s ancestors and gave life to mankind. He is the One who supplies and nourishes mankind for its existence, and guides mankind up to the present day. 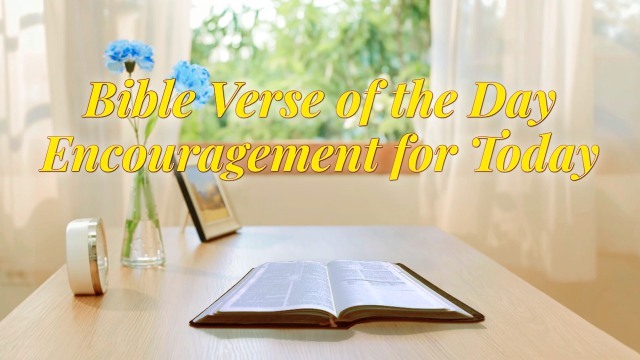 Moreover, He and He alone is whom mankind depends on for its survival.” From this, God is not only the One who holds sovereignty over the fate of mankind, but also the One who supplies our life. And whoever does not bear his cross, and come after me, cannot be my disciple. – Luke 14:27 Thoughts on Today’s Verse… It is not so smooth on the way to following God. There are yet many trials and refinements, persecutions and tribulations. We are in need of confidence to..